TRACE: Becky and I were both named Laura before adoption… how amazing is that synchronicity… So Becky, you and I began our search the old way, before the internet. If you were asked advice by an adoptee who is still searching, what would you recommend as far as how to search, and what about using social media? BECKY: Why am I not surprised that we were both named Laura before we were adopted? I can't tell you how many times I have connected with women named Laura! I think it began with my childhood infatuation with Little House on the Prairie author Laura Ingalls Wilder. (I STILL love those books!) 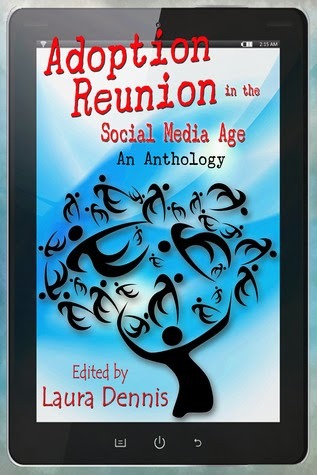 In the past few years I've connected with several Lauras -- including Laura Dennis, the editor of "Adoption Reunion in the Social Media Age"! Search and reunion is a very personal experience. Every search will be unique. For those still searching, I think it is important to know that many adoptees have been reunited with their parents without access to their original birth certificates. Reach out to search angels in your state for advice and assistance. Keep in mind that at times the key to your search may be in a dusty file cabinet or sitting on a library shelf. Just because you can't complete your search online doesn't mean the information isn't available to you. In my case, I didn't even have my father's name when I started my search. With some adoptee intuition and a lot of work, I found what I searched for. Don't get discouraged! The Internet has not only put search tools such as Spokeo, Google and Facebook at the fingertips of those searching, it has also given adoptees, birth parents, and adoptive parents a public voice. The Internet gives authors the opportunity to spread the word about their books via Social Media, blogs, and Amazon. 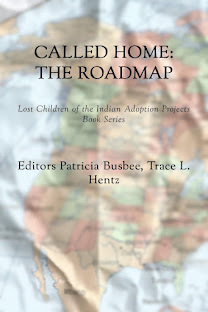 And there are many, many GOOD books out there that chronicle the adoption experience and offer search tips and advice. My advice would be for any adoptee searching would be to get educated! Read, learn and participate in discussions, and get involved. And reach out to others. This will help you in your search and will help you anticipate the variety of reactions you might experience. And believe me, it will be emotional! I really can't say enough about being emotionally prepared for whatever you might find at the end of your search. When I found my mother, I wasn't prepared for rejection. Then, many years later, I met my father and found I wasn't prepared to be welcomed with open arms. Social media is widely used by adoptees and birth parents as a tool to communicate and gather information. Facebook opened doors to me and helped me learn that my brother and I both know some of the same people! So, here's what I believe: What others post on social media sites and make publicly available is fair game. Feel free to explore what is publicly available. I also think social media is a great way to keep in contact once ongoing contact has been agreed upon. However, in most cases, I don't think social media is a good way to make initial contact with a parent or child. Social media is a wonderful tool, but it needs to be used carefully. TRACE: Adoptees have to deal with “the fog” and fantasy. Usually we guess or dream up what our first parents are like and only know what our adoptive parents tell us. Did your adoptive parents tell you anything about your first family and did they support you searching for them? BECKY: My adoptive parents were always very open with me about the fact that I was adopted. However, they knew very little about my birth family. The only fact that they remembered was that my birth mother had red hair. 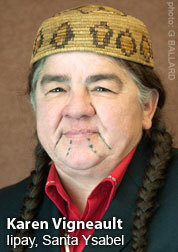 Of course, once I learned that, every time I saw a woman with red hair, I looked for resemblance. I dreamed up stories in my head about her searching for me. As a teenager, I was obsessed with questions about my birth family. I wonder if I would have been more at ease with being adopted if my parents had been provided with more information -- in writing -- about my birth family. My Mom said that my birth mother was mentioned when they first "met" me at the adoption agency, but they were so excited about meeting me that they remembered very little of that conversation. My parents kept a very extensive file of everything they received, and there was no additional information provided about my birth family in that information. Interestingly, they were given a booklet called "All About Me", which contained information about what I ate, sleep habits, etc. Apparently the adoption agency didn't feel any background about my birth family was important for me to know. I did not tell my parents prior to searching. I knew my Dad would be okay with me searching, but I wasn't so sure about Mom. For most of my teenage years, when I was angry with her for establishing a curfew, or sending me to my room for hitting my brother, I would tell her that my "real" mother wouldn't treat me that way. I know I hurt her deeply at that point in time. By the time I searched, I was on good terms with both of my parents, but I felt strongly that this was something I needed to do on my own. I did tell them about my search about a year after I found my birth mother. She declined contact, but I had some limited contact with her sister, my aunt. My aunt provided me with pictures of my mother, my grandparents, and my brother and sisters. I started this conversation with my adoptive parents by showing them pictures! They were supportive and curious. I've always had quite the independent streak, and they knew I've always had questions, so I don't think my search shocked them. I do wonder if my Mom would have reacted differently if I had established ongoing contact with my mother. Twenty-plus years passed between the time I told my parents about finding my mother to the time I met my father. By that time my Dad had passed away. Once again, I conducted this search without my Mom's knowledge. Once again, I opened up my conversation about meeting my father with pictures! After I told Mom the story about how I learned his identity, then walked up to him at a public event and introduced myself to him, her first comment was: "I wonder what he thought about how you were raised"? She is comfortable with my ongoing contact with my father. TRACE: I grew up in northern Wisconsin and some of my first family lived there also. But I didn’t know this. I’m sure I’m not the first person to wonder if I dated someone who could have been a cousin, sibling or blood relative. You also grew up near relatives. Is it possible you met someone in your family and didn’t even know? Did that ever concern you when you were dating? BECKY: Growing up, no, it never crossed my mind that I might date or be in contact with a blood relative. I was born in Cleveland, Ohio and grew up in a small town across the state, 200 miles away. I always felt very far away from my biological family; I just assumed that they were from the Cleveland area, so why would they ever end up in a tiny little town across the state. When I found my birth mother in the early '80's, she was living not in Cleveland, but in Columbus, less than 100 miles from where I live. That still felt far away to me -- I never thought it was in the realm of possibility that I would become acquainted with a family member. Imagine my surprise when, thanks to that mutual friend feature on Facebook, I discovered that my brother works with a friend of mine, eight miles from my house. In a moment, I learned that what I never imagined possible was, in fact, real. And it doesn't stop there. As I have become more and more vocal about my experience as an adoptee, I have learned that several other friends and acquaintances know my brother through their work. I do believe that, at some point, I will meet my brother. I recently saw or read a story about a birth mother/daughter reunion where mother and daughter realized they had been connected during the daughter's growing up years. Mother had been a school bus driver, and after some discussion, they realized that she had been the driver for her daughter's school bus route! I always felt like I would "know" it if I met a birth family member. This story illustrates to me that what I believed may not always be true. TRACE: Some of us deal with rejection by our first families. My mother Helen chose not to meet me but did send my birthfather’s name after I wrote her a second letter. You have not met your mother (not as yet) but did speak to her… Do you think this new book could change your mother’s mind about having contact with you and suggest a reunion? BECKY: Trace, I hurt for you as you ask this question. And I hurt for me. I was still firmly entrenched in the "adoption fog" when my birth mother refused contact with me. In fact, I knew very little about adoption issues at that point in my life. 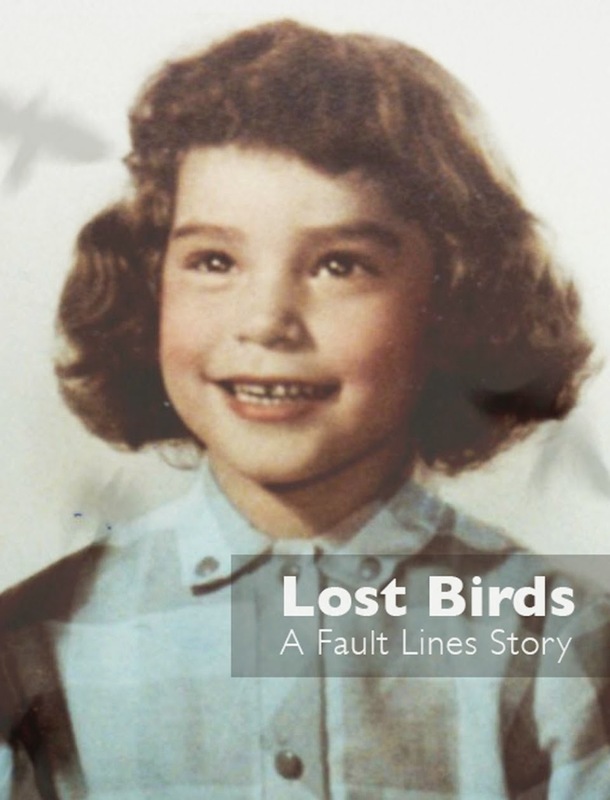 I SO wish resources such as Laura's anthology had been available to me to help me through the search and reunion process and to help me understand many of the issues faced by all of those affected by adoption. I learned how my mother's sister perceived the circumstances of my conception and placement for adoption almost 30 years ago. However, it wasn't until I reached out to my mother again in 2011 and had a conversation with her that I really understood how deeply affected she had been by getting pregnant and being shamed by her parents. I came away from our conversation with the realization that she has never healed from placing her first child for adoption. She did what her parents and social workers told her to do... she walked away from the hospital and never spoke of me again. Not even to the man she married three years after my birth. Yet she still remembered the name she gave me. And she told me she thinks of me every day. She didn't forget. I can't pretend to know all of the thoughts that run through her mind. What I do believe is that she has a lot of healing to do before she will be in a place to be ready to meet me. And I believe that studying the issues faced by adoptees and birth parents is an important step in healing. 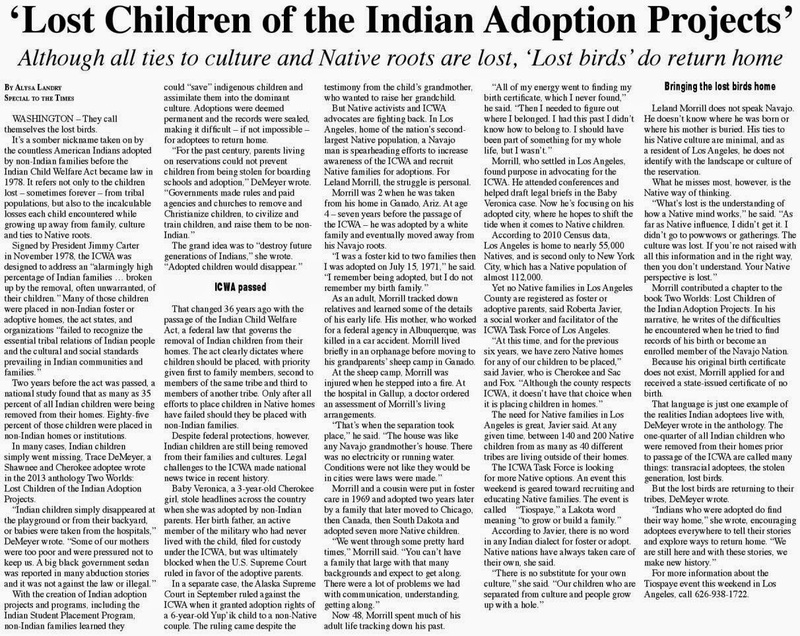 The adoptee and birth parent community has been a tremendous source of information, support and healing for me. And I believe that, if my mother would read books like “Adoption Reunion in the Social Media Age”, she would begin to have the tools to heal. And the courage to reach out to others who share her experience. She would realize the impact of adoption for adoptees. And she would be able to identify with the stories of other mothers who lost children to adoption. If this were to happen, I believe she might have a change of heart about meeting me. 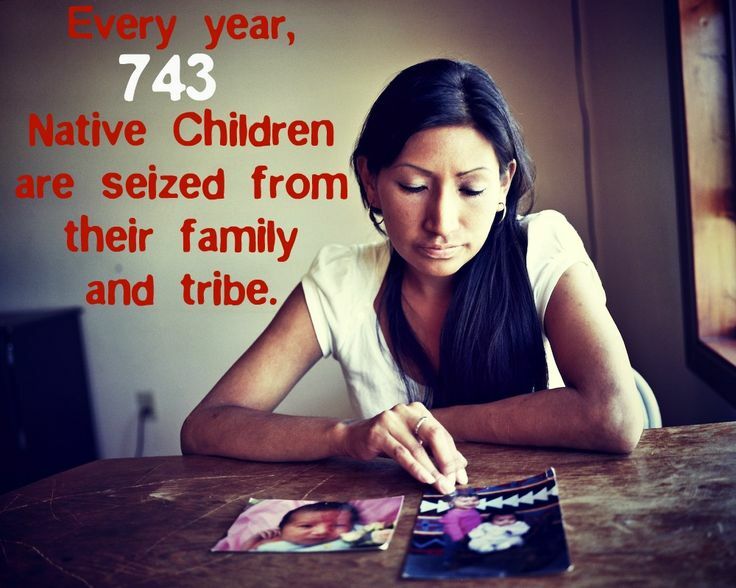 ***I want to thank Becky for sharing her thoughts and story with this blog, American Indian Adoptees. Do you have a question you’d like to ask us? This is cross-posted at www.splitfeather.blogspot.com and at www.tracedemeyer.com.